Lunar Numbat is now getting close to construction of the first full working prototype of the throttle valve assembly that we will use on our lunar lander engine. 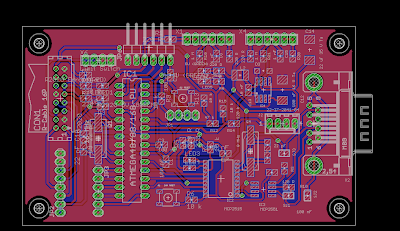 The valve assembly will include a digital control system, a custom design by the Lunar Numbat team.. Remember, you can follow the details of their technical progress online because Lunar Numbat is an open source effort! 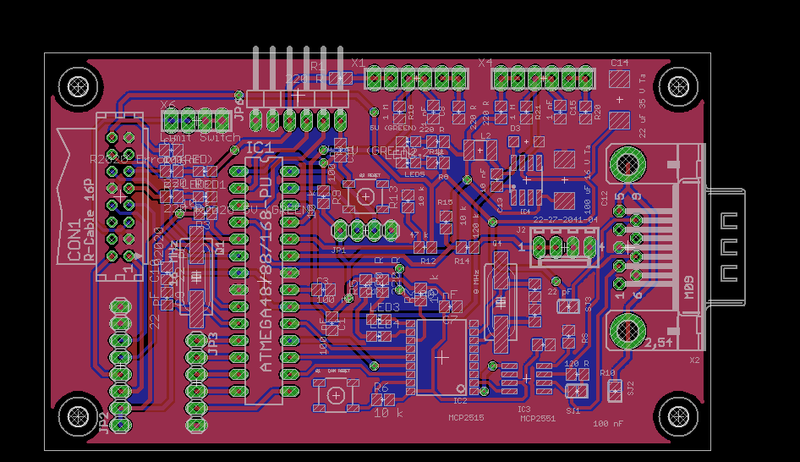 This PCB design was recently created by Luke Weston and the team is now preparing to build it in hardware. It contains a microcontroller that drives the electric motor as well as an interface for the CAN bus that forms the backbone of the vehicle's avionics. motors: MCG ID23900 brush motors. servo drive board: Rutex R2020.